Yea, The gang is back. 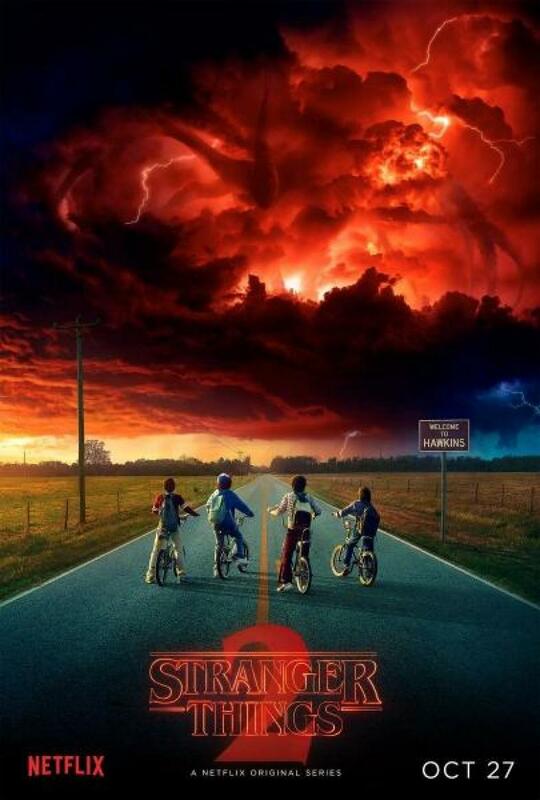 Netflix probably won Comic Con by gifting the viewers something special, a short trailer of Stranger things Season 2. You don’t have much time to get excited as it premieres October 27th. IF you haven’t seen it, Watch it. Right now. It seems little Will is now seeing things. The Poor child’s nightmare didn’t end when he was abducted in the first season by a monster and taken to an alternate dimension filled with one’s worst nightmares. After his friends and family just got him back they now need to fight another battle to protect their loved one and possibly their own world. What this newfound horror is? From the trailer we can see Will is now dealing with the repercussions of being in that alternate dimension. He has developed dark, vivid visions of horrific events, possibly future. It was never fully explained how Will was changed from being in that world, but Season 2 looks to be answering all those questions or confusing us even more. Eleven is seen alive during the trailer at 2:33 as she makes her journey back to Earth from The Upside Down. It was believed Eleven died protecting her friends, but the trailer is proving that prediction to be false. She will definitely play an important role as she did last season when she took on The Monster. She was pegged as a hero last season and hopefully she’ll be one this season too, unless she’s undergone some sort of change and that isn’t Eleven we’re seeing. Last, but not least, the trailer is hinting at the dimensions linking. The Upside Down isn’t done with Earth and it’s possible Will is behind the link and doesn’t know or remember it. This season’s expectation are high as horror fans everywhere look to be entertained on a whole new level. Check back for constant updates.